Happy Wednesday friends! I am starting off What I Ate Wednesday with a peek at the August Snackbox. 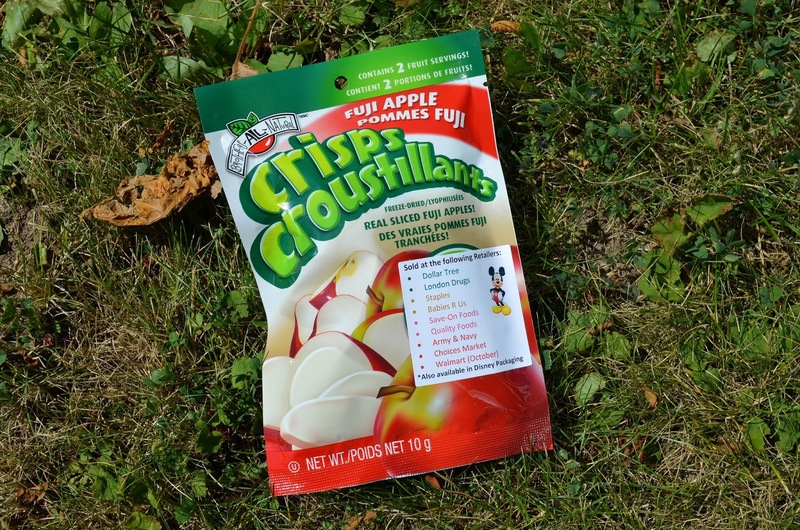 When I received my very first Snackbox, I thought it would be perfect for taking to a cottage or on a camping trip. Everything fits so neatly into a compact box for one thing. And we all need lots of snacks while camping or cottaging, right? 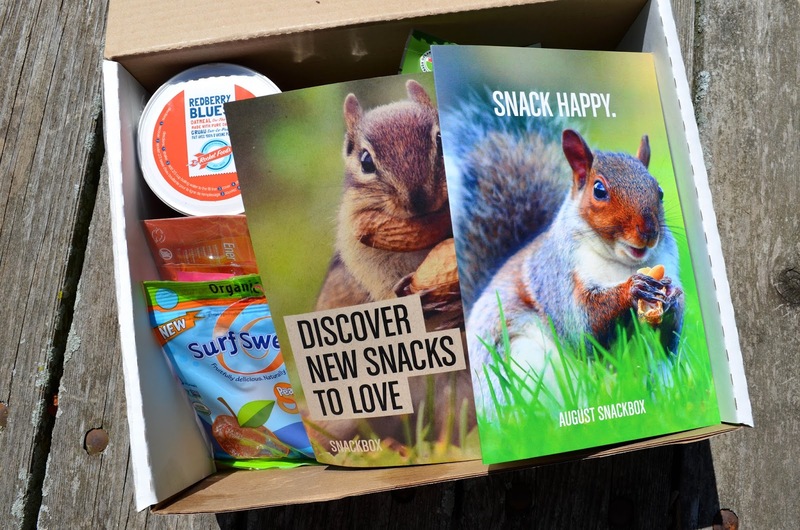 So I tested out my theory with the August Snackbox. We were heading to the cottage (aka my parents' house) last weekend, so I simply popped the whole box in the car. I get my love of (okay obsession with) food from my mom, so I knew she would enjoy looking at the snacks too. You can read more about how Snackbox works here. Mom and I tested out the Brothers All Natural Fruit Crisps. I have enjoyed the banana strawberry combo in the past. This package was fuji apples. 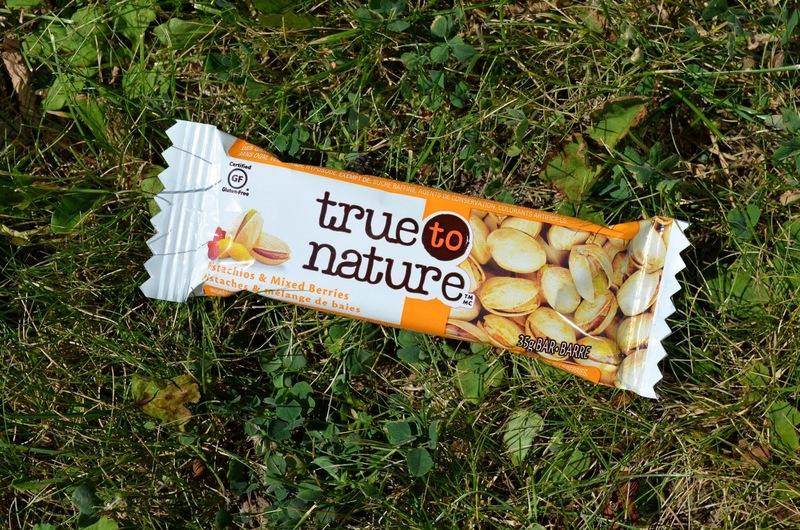 The only ingredient is freeze-dried fruit, so you know you are getting a healthy snack. There are one and a half apples to a bag. I think they make a nice, light snack to take on the go. 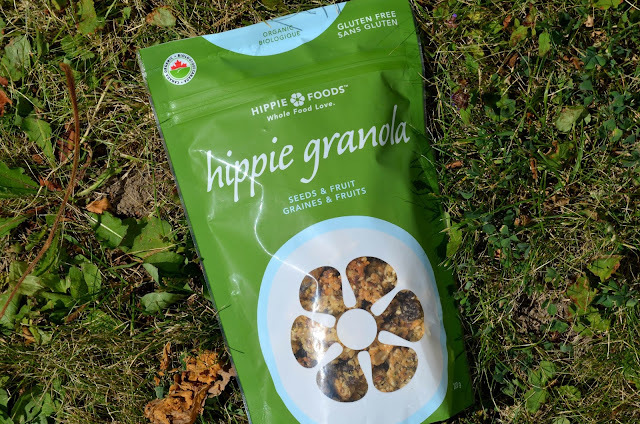 Hippie Foods Granola is also great for grabbing out of the bag. I would have this for snacks and with soy milk for breakfast. It is very tasty and is certified gluten-free, organic and non-GMO. It doesn't contain oats. 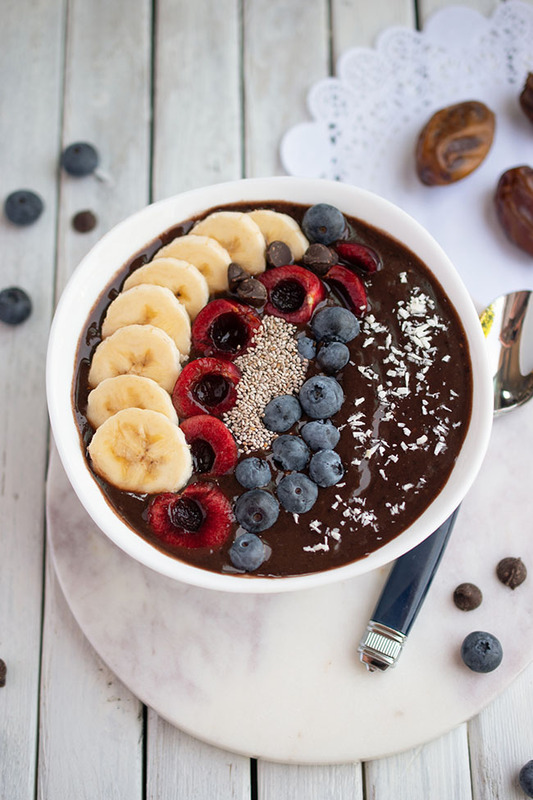 Instead it contains nutrient-dense grains, nuts and seeds. 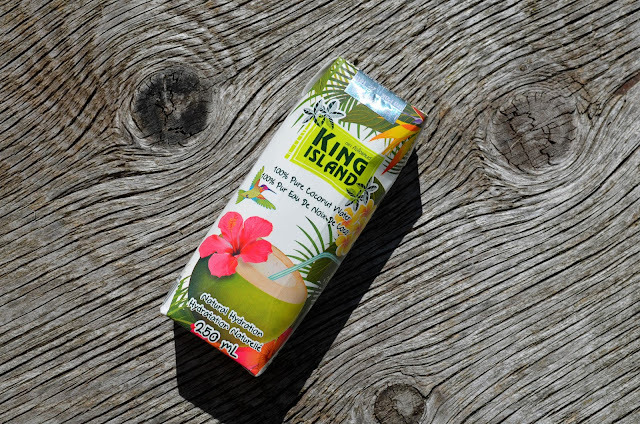 I haven't tried the King Island coconut water yet, and I don't think I'm going to. I overheard my son saying he plans to take it to soccer practice. It is a great source for natural hydration. 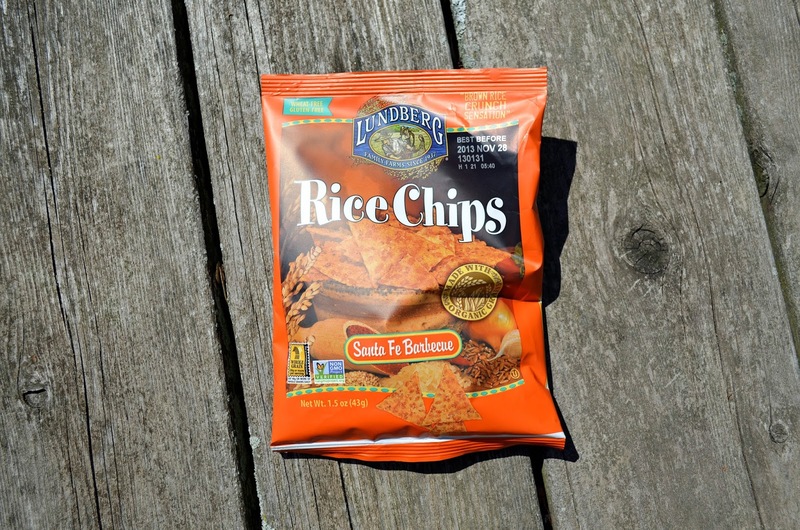 I am obsessed with Lundberg Farm rice chips in the sesame and seaweed flavour. The barbecue is my second choice. It doesn't really matter, though, because my daughter ate the whole bag. 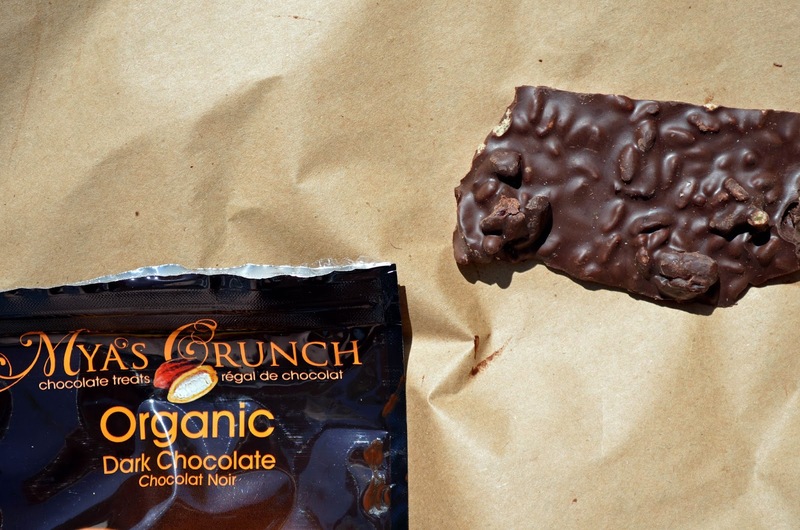 My husband and I have been enjoying Mya's Crunch organic dark chocolate. It's made with real Belgian chocolate, dried cranberries, orange essence and crispy rice. I don't normally like orange flavour in my chocolate, but this one is gentle and I love the crunchy texture from the crispy rice and the sweetness from the dried cranberries. 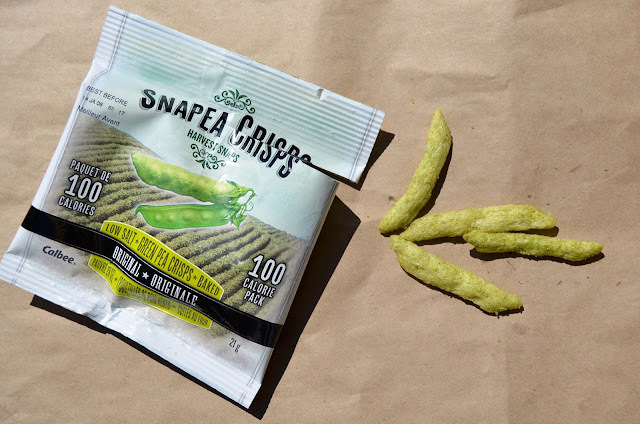 Okay, the idea of green pea crisps doesn't sound that appealing, but Snapea Crisps are actually addictive. They are puffed up and crunchy so it's kind of like you are eating a chip. But every bite is 70% pea, sourced from US and Canadian farms. My mom and I agreed these are good. I had Rocket Foods's Redberry Blues Oatmeal On-The-Go this morning. You pour hot water right in the container, so this oatmeal is great for taking to work. I would even keep a few in my desk for those days you rush out the door without breakfast. That is, if I didn't work at home! 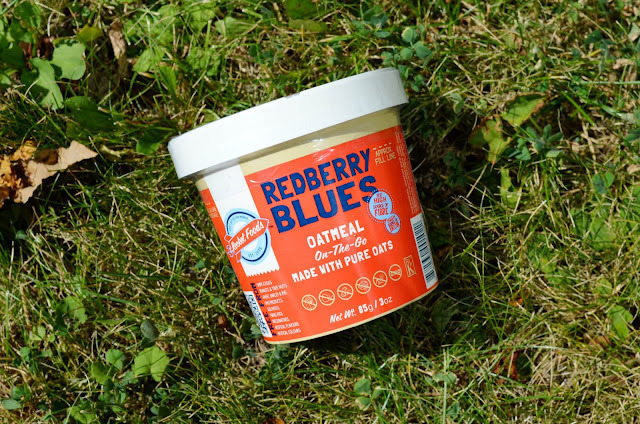 Rocket oatmeal is free of the top 10 allergens and uses natural, non-GMO ingredients. We also ate some actual meals at the cottage. 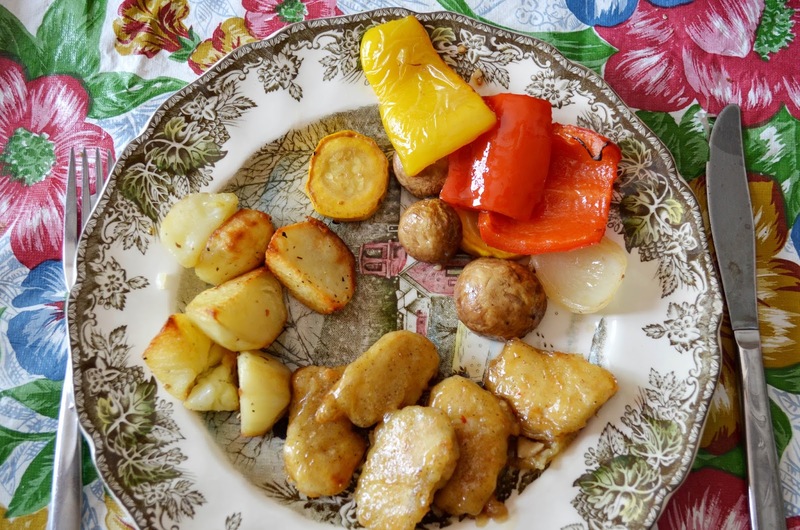 My husband roasted potatoes and veggies for dinner one night. We served them with Gardein mandarin orange crispy (faux) chick'n. 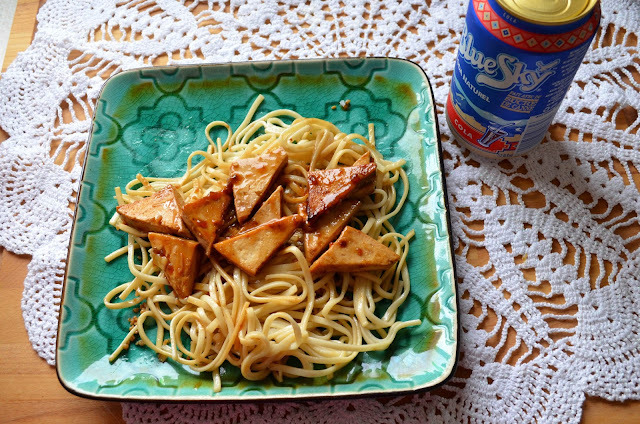 Back at home on Sunday, I made a super quick meal of garlic noodles and extra-firm tofu baked in teriyaki sauce. This is the leftovers I had for lunch on Monday, along with a Blue Sky cola. Now for my Tuesday eats, starting with breakfast. 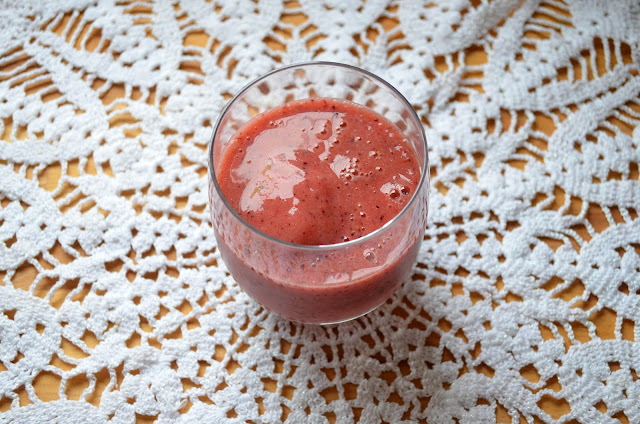 My husband made me this fruit smoothie. Not sure what was in it. I don't ask questions when I don't have to make food myself. 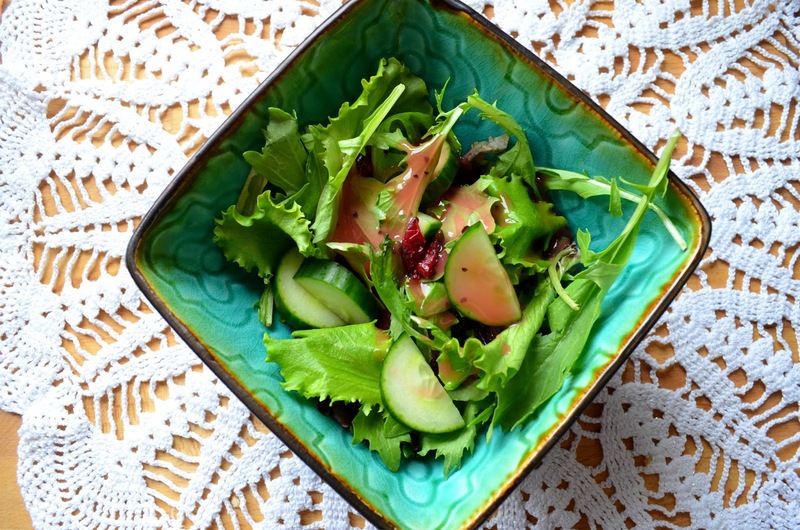 For lunch I had a salad of mixed greens, cucumber, dried cranberries and raspberry vinaigrette. 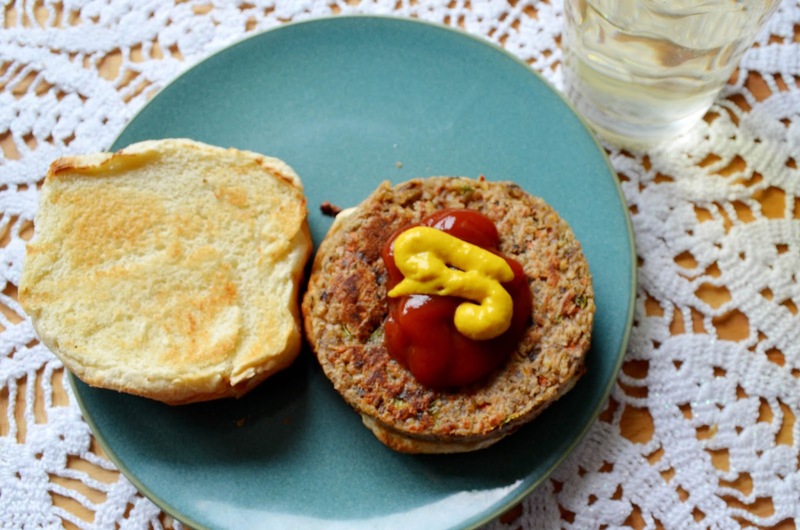 And an Amy's California veggie burger. Love those! In the afternoon, I snacked on this True to Nature bar that came in the August Snackbox. It was chewy and delicious. 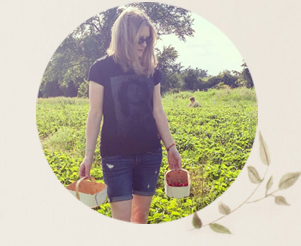 I am putting together another back-to-school post featuring some amazing eco-friendly products. I worked on it the whole afternoon yesterday, so I asked my husband to make some pasta sauce for dinner. We also had salad. How is your week going? Have you enjoyed any special snacks? Great mix of products! I love love love the Snap pea crisps - they hit the spot for a salt (yet healthy) snack! Those apples look good, and I adore granola in any form. I already had a big craving for potatoes, and now your picture has sealed the deal. Roasted potatoes for dinner!! 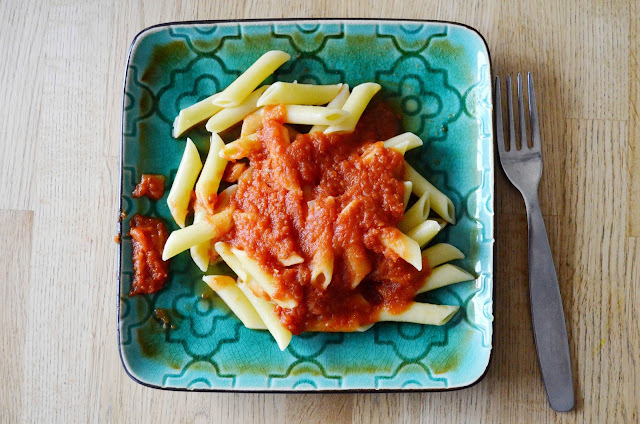 Great dinner/lunch ideas. I sometimes go through weeks where I feel like not cooking. This is one of those weeks. Seems to happen very close to my period. (TMI) Oh well, there is always next week. I guess Ill make the most of this last week of summer holidays. :) Hurrah! Your such an inspiration with how you eat! So healthy. I don't want to share what I ate because while I try really hard to eat well I have lots of days that I just can't do it. I am hoping some of your great ideas rub off on me. Honestly, it all looks good... Even the tofu. ;) Salad with raspberry vinaigrette sounds especially tasty.